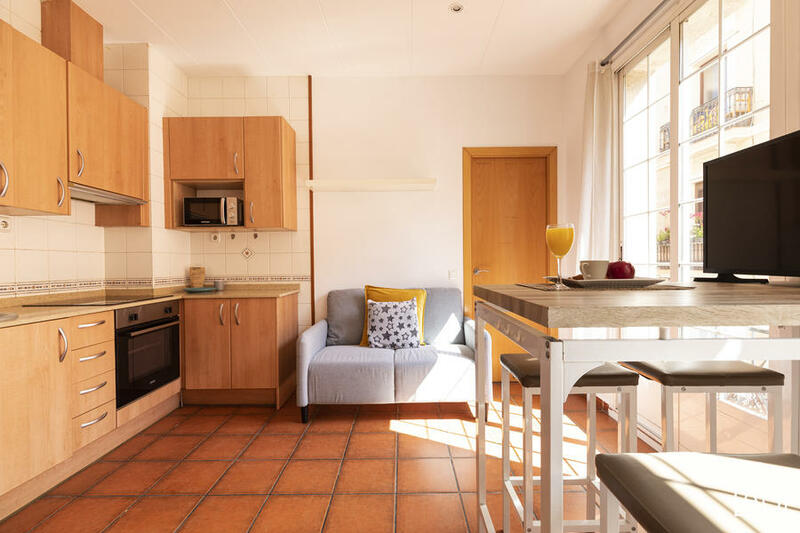 This is a lovely apartment in a fantastic location, just steps from the Barceloneta beach. It is situated in a lively town, ideal for those looking to spend a few months or more in the city. You´ll find plenty of supermarkets and bars near to the apartment, as well as shops and restaurants. The Old Town is just a 15 minute walk away, and there is a good connection to the rest of Barcelona by public transport. This one-bedroom apartment has a double bed, making it ideal for couples or solo travellers. The bathroom has a walk-in shower and the kitchen has a modern stove. The apartment comes complete with pots and pans. There is also a washing machine for your convenience.